Travel through one of Portugal's most impressive mountainous regions. Have a wine cellar tour with cheese in one of the most renowned wine regions in the country. Visit an original tile factory that still produces the famous Portuguese handmade tiles using the same techniques from the 17th century. Marvel at the cliffside scenery long the cliffs of Arrábida Natural Park in southern Portugal. Sample the famous Moscatel de Setubal wine and the cheese, which was awarded "best Muscat of the world". After meeting your private driver you leave Lisbon by driving over the Tagus River Bridge towards Sesimbra, a charming fishing village in a sheltered bay overlooked by the Serra da Arrabida. In Sesimbra you see the Arrabida Natural Park which is located on the northern shore of the Sado River estuary. The beaches in this area are very popular with locals from both Lisbon and Setubal. Next, you drive to the town of Azeitao which is located in the Setubal Region. The town is known for its red wine, olives and creamy sheep cheese. You will visit a winery and have the chance to sample the famous Moscatel de Setubal wine and the cheese which is considered the best in the country. Finally you visit an original tile factory that still produces the famous Portuguese handmade tiles using the same techniques from the 17th century. You will watch the artisans making the tiles and have a chance to purchase one if you wish. 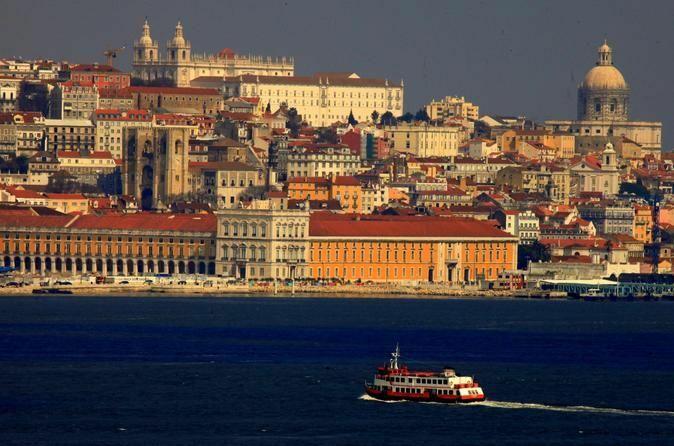 End your trip with port drop-off back in Lisbon.